Adam Levine and his band Maroon 5 set off across Los Angeles last month (Dec. 6) to gate crash a selection of weddings. Why? The group allegedly wanted a romantic setting for their new music video. The song called “Sugar” off from their hit album V.
The band walks into a series of venues, seemingly unnoticed, and sets up their performance equipment and stage behind a white curtain. Then the curtain drops, and we see their shocked and amazed faces of guests, visitors and of course, the groom and the bride believing the fact that Adam and Maroon 5 IS PERFORMING AT THE COUPLES WEDDING!!! AMAZING!!! People online are arguing if the gate crashing is staged or not but who cares, it was an amazing idea. Watch the video for “Sugar” below and tell us what you think. The video was directed by “Wedding Crashers” helmer David Dobkin, was shot over a full three-day weekend in Los Angeles at venues from Glendale to Marina del Rey and everywhere in between, with the band putting in 10-12 hours of work and travel each day. 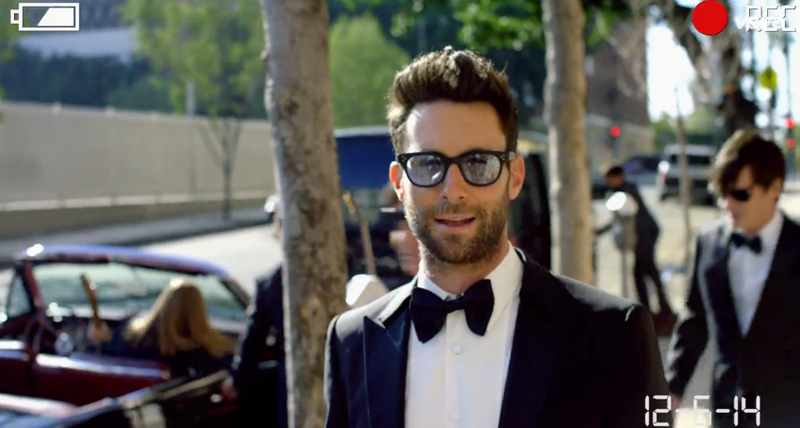 What do you think of Maroon 5’s “Sugar” video? FAKE or NOT? Discuss below.